1. Install VirtualBox 5.2 : download the package for RHEL7 and install, right now, OCP installer does not work with VirtualBox 6x. 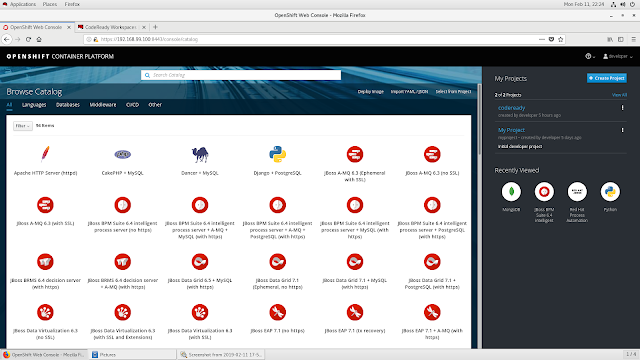 Make sure you have updated your RHEL7 and install the gcc, make, and kernel-devel packages before running the installation. Rename the downloaded file to minishift and copy the binary file to /usr/local/bin or another directory that is accessible in your command-shell path. 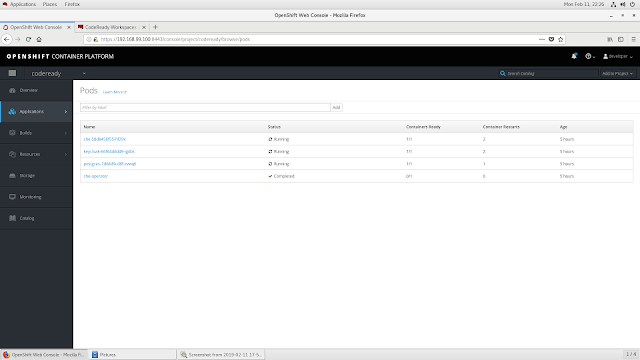 After that, an OpenShift cluster will be deployed in Virtualbox with the IP address 192.168.99.100. 1. 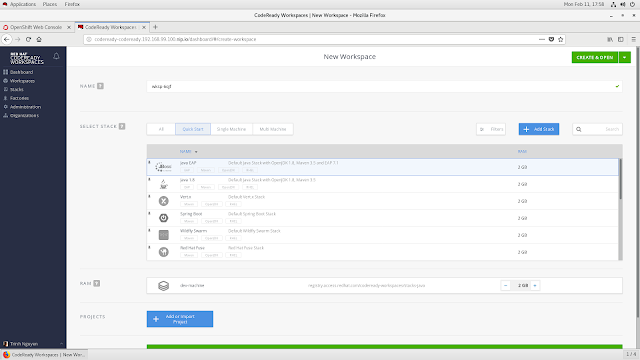 Download the CodeReady Workspace IDE from  and extract it to a non-space path, for example, /home/cwo. 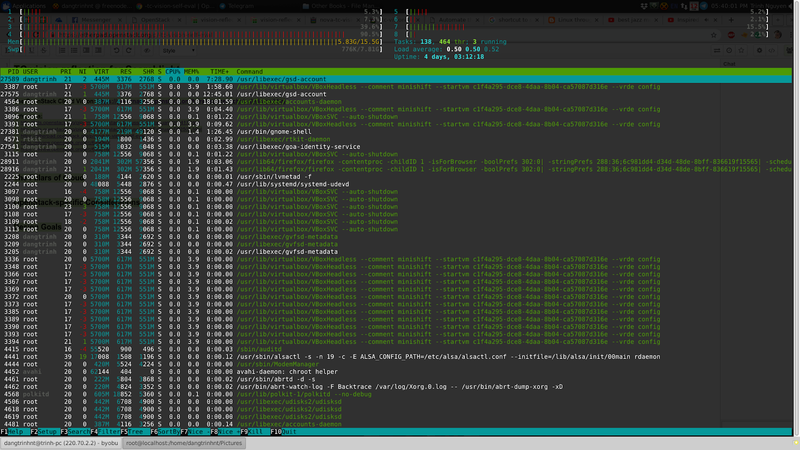 For some reason, I failed to deployed the CodeReady Workspace IDE using the admin user, only the developer user works. 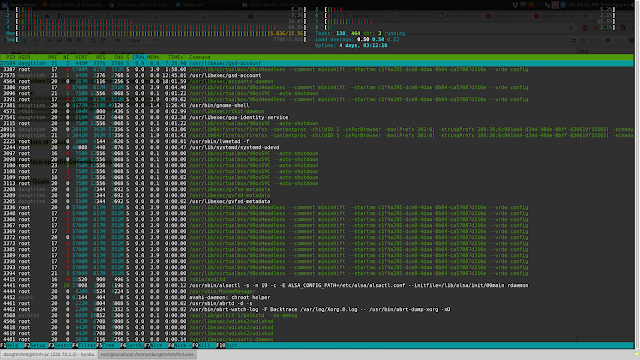 This will deploy the IDE with all the default configurations. If you want something else, have a look at the config.yaml file. The deployment script will create a new project space name codeready and all the needed resources (deployments, pods, services, and routes). After the deployment is finished, the IDE will be accessible from the RHEL7 server by this address: http://codeready-codeready.192.168.99.100.nip.io (this address is only accessible from the RHEL7 machine, for the outside world, you need to add some port forwarding in Virtualbox to expose your OpenShift instance). 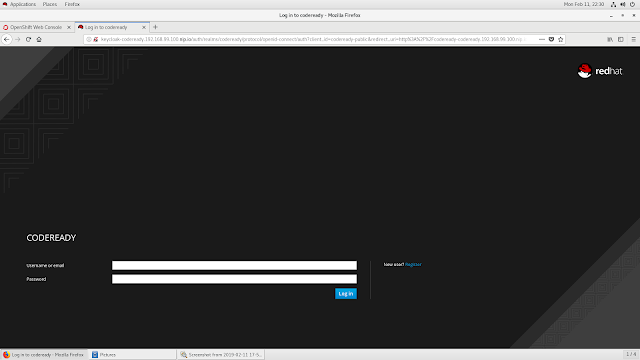 So in the CodeReady Workspace dashboard, you first have to register an account. Then, access the dashboard and enjoy the goodness!! !